It's no secret that the '90s are having a resurgence, from bucket hats and slip dresses, right down to the shoes. Nineties-style strappy sandals have blown up over the last few months, not just because they are a versatile style, but because they can transform any outfit into an elevated statement look. High-end brands like The Row and Celine have tapped into the strappy sandal trend, and new brands like By Far keep selling out. So where can you find an affordable style that is still in stock? Amazon Australia, that's where. 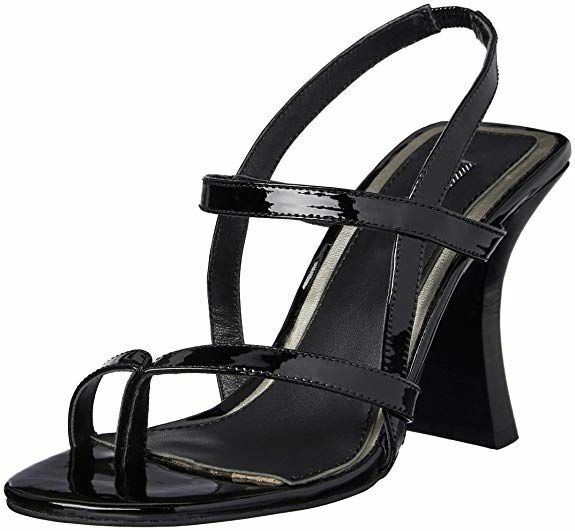 The website has a variety of strappy sandals, some with on-trend crystal details and some with patent leather straps. Take a look at our favourite styles below and shop the trend.